Think about a brand that is doing a bad job on Facebook. Easy, right? 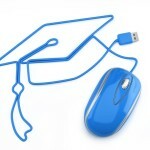 Now think of a brand that you think does an awesome job on Facebook. I am guessing that was a little bit harder. 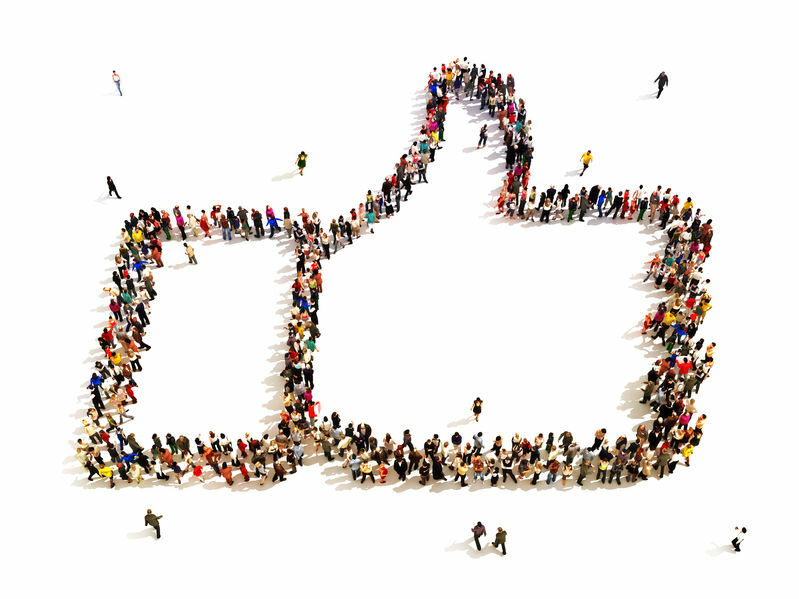 We tend to remember negative experiences better than we remember positive ones; so, let’s take a minute and appreciate a few brands who are doing well on Facebook and look at specific examples of what makes them so great. 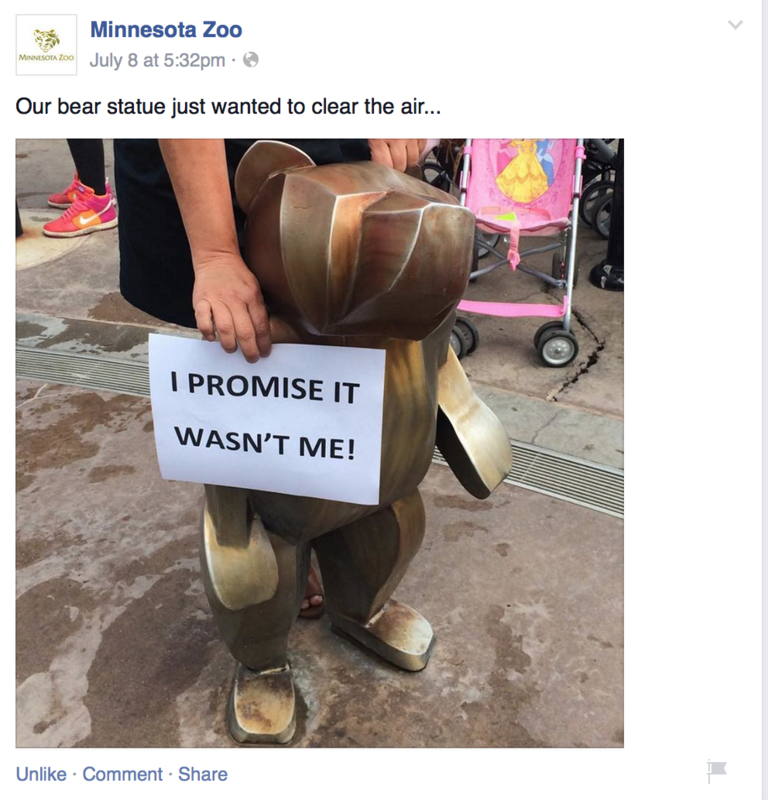 In July, the Minnesota Zoo made national headlines when one of their bears broke a pane of glass in its exhibit. The zoo immediately responded with an explanation of what happened and clarified that no person or animal was put at risk, but once their official response was out there, they had fun with it. They posted the image below and made the most of the attention their bears were getting. On some social platforms you can be successful without using visuals; Facebook is not one of those platforms. 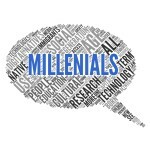 So many individuals and brands are sharing visual content on Facebook right now that text-only posts are often missed as people’s eyes are drawn to all the visuals on their newsfeeds. 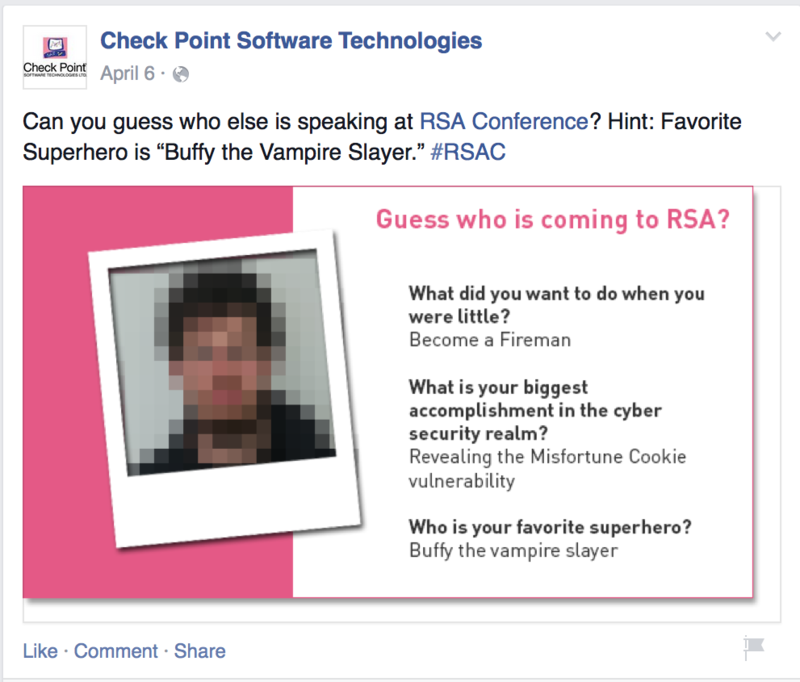 Check Point did a great job with this post promoting a conference speaker. They could have just sent this post out without the graphic and gotten some engagement, but the graphic is eye-catching and attention-grabbing. Take notice: Your graphics don’t have to be works of art. 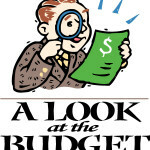 This graphic is simple, but engaging. Brands need to improve their photography skills. I applaud brands for remembering to take and post pictures of their events, but that is no longer enough; your photos need to be at least a little artistic. We all carry smartphones in our pockets that can take amazing photos and have the editing capabilities to make our photos even more spectacular – so stop posting blurry, boring pictures. 2nd Surface has awesome pictures. 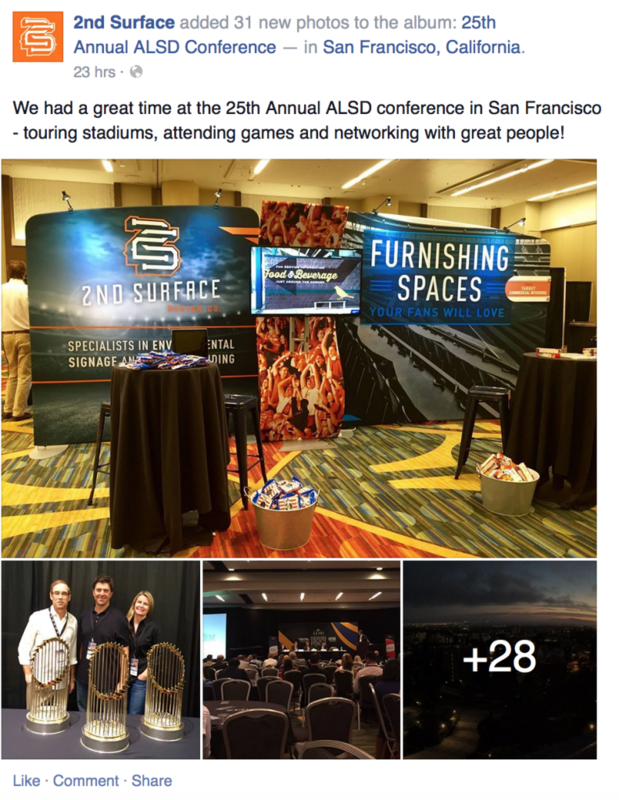 During a conference in July, they could have shared the typical dimly lit, straight-on photo of their booth, but instead, they made sure the colors were bright (use a photo filter if the venue has bad lighting) and took the photo at a nice angle. 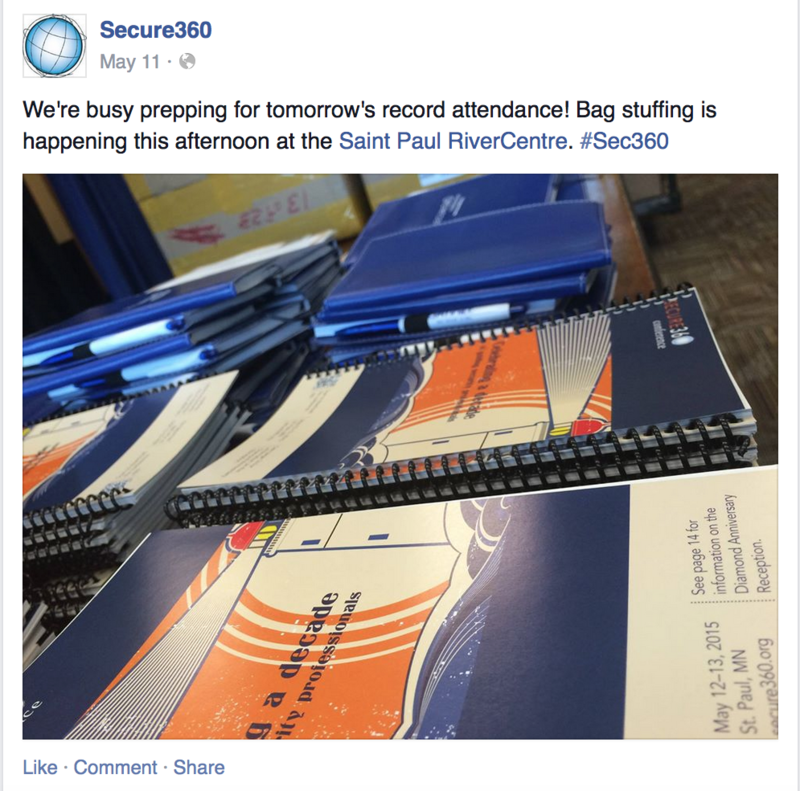 Bonus: Check out this unique photo of conference swag Secure360 posted to promote their conference. Feeling inspired yet? If you are ready to be the brand that people think of when they are asked to name a brand that is doing well on Facebook, download our Best Practices in Social Media eBook. This eBook gives you step-by-step instructions on how to consistently be a good brand on social media and tips on how to avoid being a bad one. It also includes plenty of content ideas to help you fill up your content calendar.